I hardly ever crave traditional wheat pasta anymore, I actually feel bloated just thinking about it. That’s why I’m happy to try alternatives like these soba noodles that I found in our local Bioplanet supermarket. Soba noodles are made from buckwheat. Buckwheat is gluten free and not a grain but technically a seed. This makes it a healthier choice, or a soft paleo pasta alternative! I picked up this great vegetarian recipe in one of Pascale Naessens‘ books. She uses shitake mushrooms, I used oyster mushrooms and regular white mushrooms. I found the garlic and the walnut oil to be essential, since they complement the nutty flavor of the buckwheat noodles very nicely and give the dish a rich taste. But of course you could substitute with another nut oil or a nice olive oil. 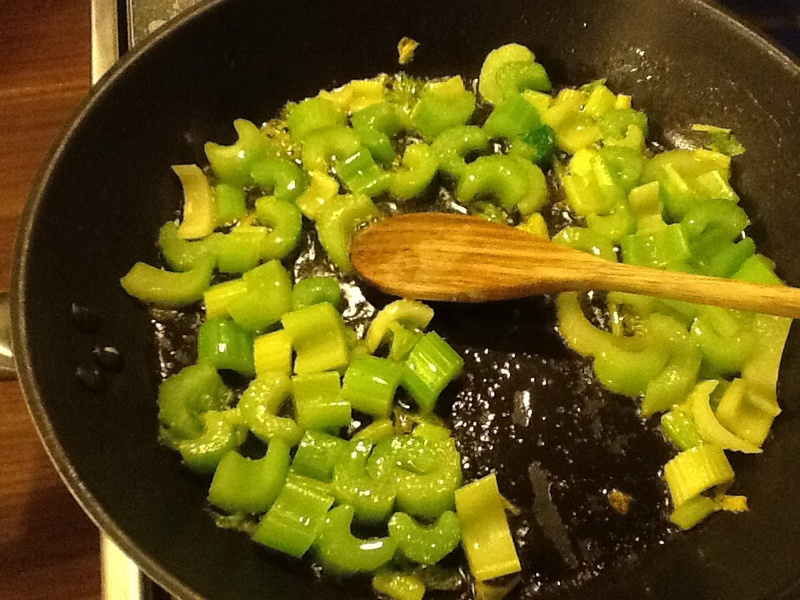 Heat olive oil in a skillet and fry the celery, stirring often so as not to burn them. Add the garlic and brown celery and garlic over low heat. Add the mushrooms and continue to simmer until they are soft and shiny. Cook soba noodles in a large pot with boiling water and salt. 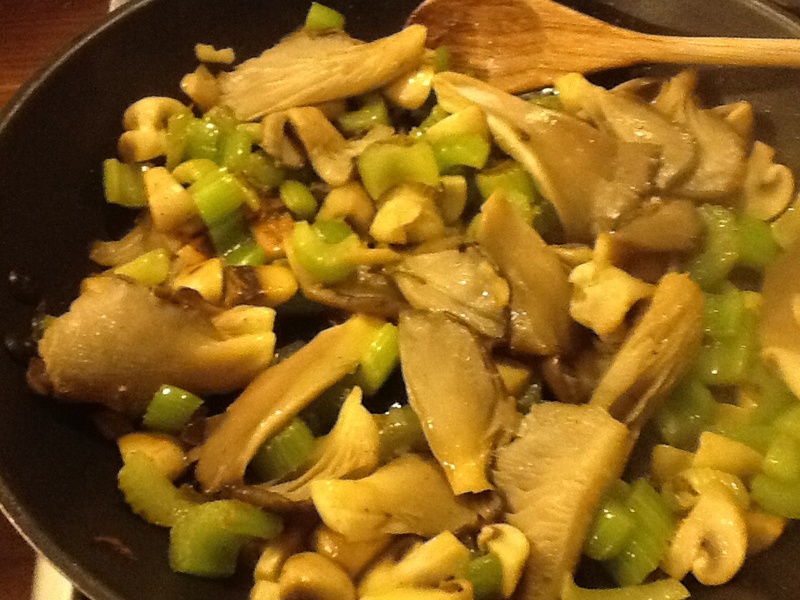 Add the noodles to the celery and mushrooms and mix gently. Drizzle with walnut oil and / or olive oil, and garnish with parsley or cilantro. 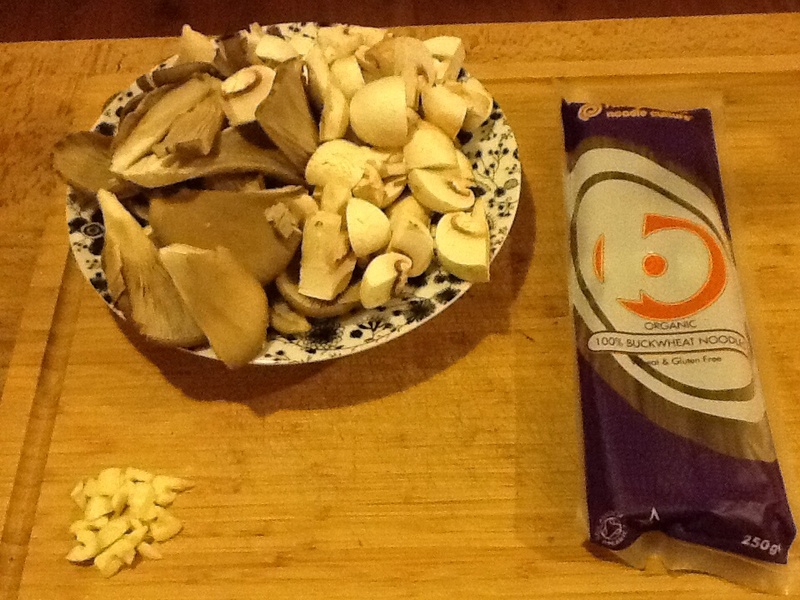 Although Gert usually doesn’t like the taste of buckwheat (eg in breads, crackers or pancakes), this combination of garlic, mushrooms and nutty flavors went down very well. He didn’t even comment on the absence of meat.. That’s a big success in my book! 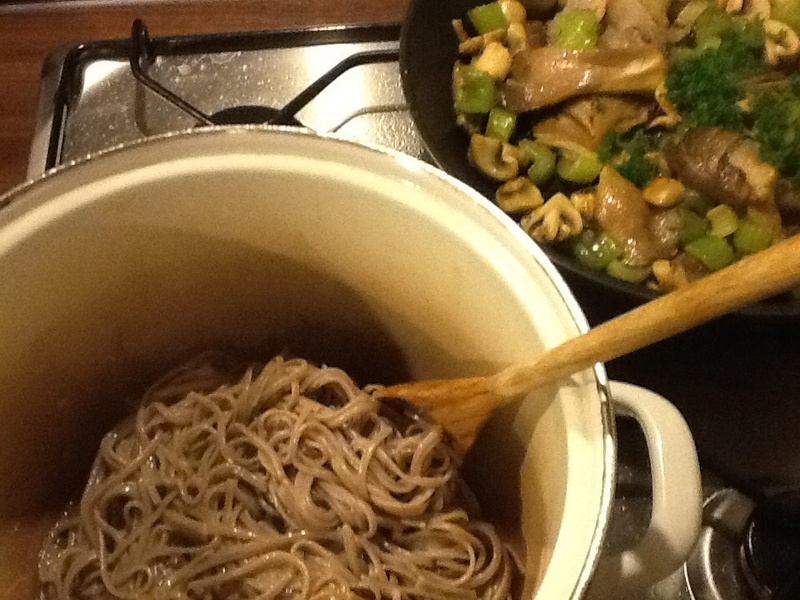 Soba noodles with celery, garlic and mushrooms. 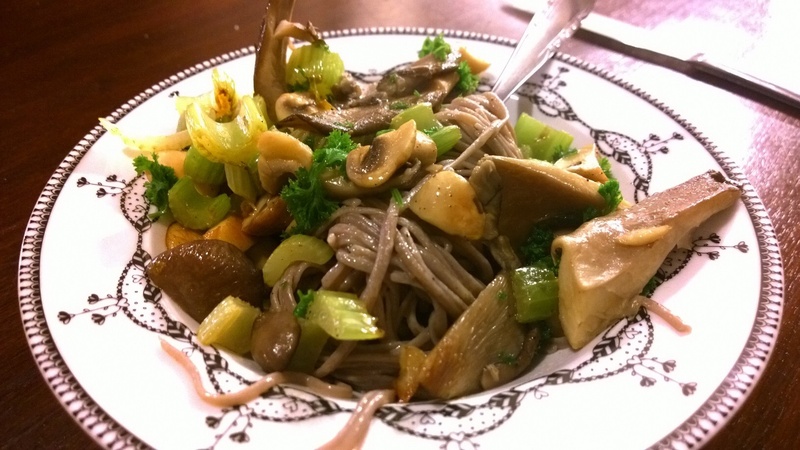 This entry was posted in Dinner and tagged celery, garlic, mushrooms, oyster mushrooms, paleo pasta, soba noodles, walnut oil on 4 February 2015 by rebeccaverreth.